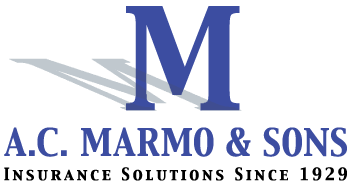 About Us - AC Marmo & Sons, Inc.
A.C. MARMO & SONS, INC.
A.C. Marmo and Sons, Inc., was established in 1929, by Anthony C. Marmo in Paterson, New Jersey. Originally, the company was known exclusively as a professional life insurance agency, dealing with the top line insurance companies in the state of New Jersey. Robert R. Marmo, Anthony C. Marmo, Ronald G. Marmo and Anthony R. Marmo Jr. In 1964, the agency expanded into the property and casualty business (auto, home and business insurance) and today, its professional facility is located in Fairfield, New Jersey. Currently representing twenty-two (22) A-Rated property and casualty insurance companies and brokers with an additional twenty-eight (28) insurance companies, to handle the insurance needs of our present and future clients. Standing behind our mission statement: “Work with someone who is accessible and has the knowledge and experience to understand your insurance needs,” has established the agency as a main source for comprehensive insurance coverage at an extremely competitive price. Although price is important, it will always be second as compared to securing the proper insurance coverage for your specific needs. Whether you are searching for personal insurance, such as New Jersey auto, homeowners or New Jersey Business Insurance-be assured that we will compare coverage and prices with several insurance companies we represent, to secure the proper comprehensive coverage at the most competitive price. We work for you—not the insurance companies. When it comes to New Jersey business insurance, we will work with you to design a comprehensive business commercial package or businessowners policy, that fits your business and we offer up to a 40% discount on many workers compensation insurance policies. By working together, you will receive the most competitive coverage at a very competitive price. We are happy to answer your insurance questions or provide you with a free insurance estimate, please call 973-340-9100 or send us an email using the form below.